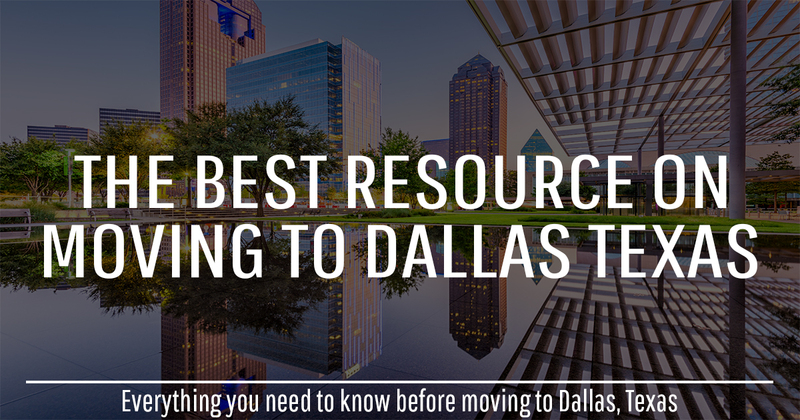 If you are moving to Dallas Texas and need to know about the area, the area's best places to live and what you can expect when you relocate to our city in 2019. If you have a move to Dallas, Texas in your future then you are going to find yourself in one of two places - pleasantly surprised or just feeling smart. Many situations can prompt a move, a major life change, vocational requirements or completely unexpected. If Dallas is where you're going to land, then you probably couldn't have chosen a nicer landing pad. 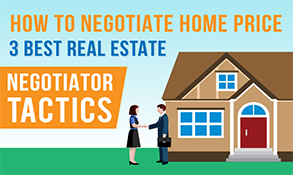 If your move to Dallas is the result of a thoughtful and well-researched decision, well done! The people in Dallas aren't just friendly, they are proper too. Get used to hearing "sir" and "ma'am", a warm smile and genuine welcome everywhere you go. Y'all just settle in now, we are just gettin' started! Yep, southern hospitality is still very ingrained in this part of the country. Along with everything you've packed for your move, make sure your appetite is included. In addition to their famous Tex-Mex, barbecues and hog roasts did you know that Dallas has more restaurants than New York per capita? Eatin' is good in Big "D."
It is somehow appropriate that Neiman Marcus is rooted in Dallas. Shopping is one of those activities Dallas is known for, evidenced by all the malls, markets, and shopping centers. Check out the West End MarketPlace or the North Dallas Galleria to get started. The fact that many movies have been filmed in Dallas probably isn't much of a surprise. The weather, landscape, and another thousand reasons could make Dallas a viable movie location. These are some of the films shot in Dallas you may be familiar with: Bonnie and Clyde, Batman & Robin and RoboCop. Texas has managed to blend farming and industry as few have, and Dallas could be the epicenter of this balance. Supporting technology, industry and a thriving farming community Dallas affords opportunities for everyone. The largest farmer's market in the country is right in the heart of Dallas and has operated since the late 1800s. In Dallas, if it ain't broke then it don't need fixed! With an amazing cross-section of cultures from Jewish, Muslim, Christian, Asian, Latino, and African-American among others, Dallas is truly a melting pot. There is room for your faith, your practices and you in multi-cultural Dallas. If a desire to enter into the corporate arena and big business was an impetus behind your move, then you apparently did your homework. Just a few of the mega-corporations that call Dallas home are the Dr. Pepper Snapple Group, Frito-Lay and Rolex. In Dallas that is often called opportunity. In the same vein as being home to well-known corporations, unsurprisingly Dallas is also considered an industrial hub. This is most clearly defined by being a major center for technology, medical research, and energy. No, this isn't about the mile-high club! The saying is that 'everything is bigger in Dallas,' and that includes the DFW airport. Yes, the airport is worth mention and once you see it you will understand. In sheer size, it covers more area (land mass) than Manhattan and has the world's largest parking lot. Dallas is home to both American & Southwest Airlines. If it was anywhere else but Dallas it might be odd that the first skyscraper to adorn Texas is just a short ways from that aforementioned farmer's market! Remember, everything is bigger in Texas and the Dallas skyline is just more evidence of that fact. Home to over 250 high-rise buildings, the Dallas skyline is more than picture-worthy. Dallas is situated on the Trinity River which is located in the center of Dallas County in North Central Texas. Dallas is situated at the center of Highways 20, 30, 35, and 45. Dallas was founded by John Neely Bryan in November 1841 as a city meant to serve a growing migration population that was coming to the region. Originally, the city took up only about ½ square mile and was nothing more than a few blocks and streets wide. Today, Dallas is a bustling metropolitan city of more than 1.3 million residents, and that number continues to grow exponentially each decade. Dallas has grown rapidly from its inception in 1841 as it quickly became an outpost city for people who were immigrating to the lands around the city. Early as the 1850s Dallas began to establish all of the basics of being a real town including drug stores, a general store, insurance agencies, a blacksmith, a shoemaker, a saddle shop, trading posts and even had a newspaper. Later in the 1850s a hotel, a sawmill, and flour mill. 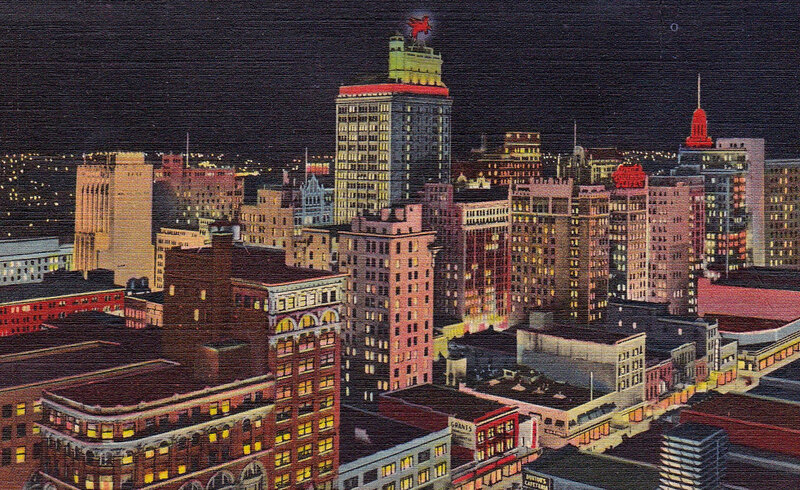 For years, the red Pegasus flying horse was the symbol of Dallas. Pegasus flew high above the cityscape and welcomed visitors from miles away as they headed into the city. Today, Dallas has all of the makings of a large metropolitan city and it continues to grow its population with each passing decade. Dallas began experiencing its most recent explosion in growth in the 1990s and continues today as more residences, office buildings, and other projects continue to go up throughout the city at a breakneck pace. Dallas is part of the larger Dallas-Ft. Worth metro area which encompasses a total population of more than 7 million residents. 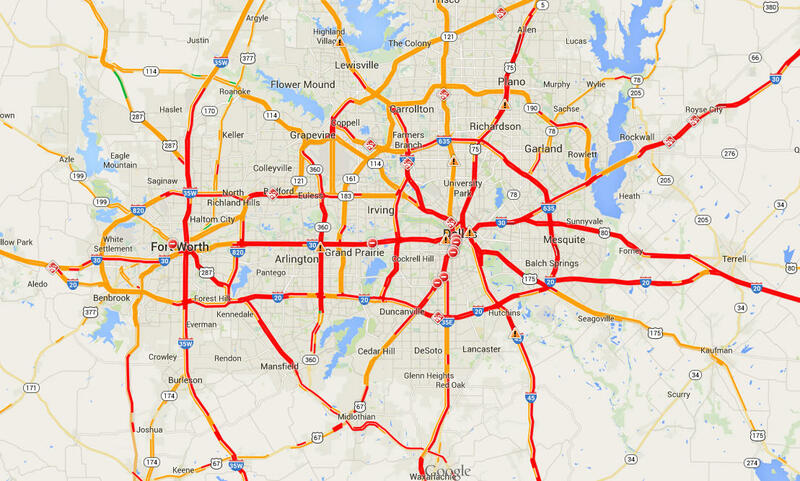 When you say you "live in Dallas," that means it could be anywhere in the Metroplex. The area has added more than 528,000 residents to its population in just the last 5 years alone. If you are thinking about moving to the Dallas area, you are clearly not alone. This has been a growing trend over the past few years as more and more people are getting the same idea. The Dallas is the 9th largest city in the US and is part of the 4th largest metropolitan area in the entire country. Dallas covers a total of 343 square miles, making it quite a bit larger in land mass than many other cities, meaning it is more spread out and residents have more room to move about than in more condensed areas like Chicago or Manhattan. As in any large city, Dallas offers an extensive network of transportation options for its residents. The Dallas Area Rapid Transportation (DART) offers over 72 miles of light rail and 120 bus routes that make stops virtually everywhere throughout the entire city. There are even specific tourist bus routes that run through certain areas filled with popular attractions such as the culture and arts districts and other entertainment centers. Just be sure to plan your trip carefully or you could be in for a long, scenic route including many stops you probably never cared to make! Moreover, the Trinity Railway Express (TRE) also connects the downtown Dallas area including a variety of stops throughout the city such as Grapevine, Southlake, Trophy Club, Irving, Grand Prairie, and many other stops between the Dallas and Ft. Worth areas. 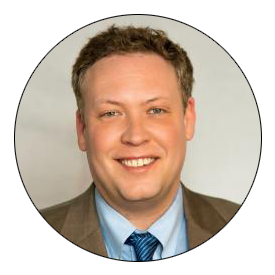 DART, however, runs a rather inefficient system and many critics have said that it can dissuade many people from using the transportation system in the area. If you are going to use the transportation system, understand it before you begin, and plan your route carefully to avoid wasting extra hours of your time. When you Live in Dallas, You'll see Traffic! Sure, it's not traffic on the Los Angeles level, but any metropolitan area with more than 7 million residents is going to create some traffic hang-ups. The worst of it comes when traveling the main freeway arteries that run to connect Dallas to the other nearby metropolitan city of Ft. Worth. While only a few miles apart in distance, this seemingly short jaunt on the map can take a ridiculously long time to drive when there are accidents or even during rush hours when people are coming home from work. Sometimes, weekends make it bad, too, as people are out and about heading to different events that require them to go from one city to another. It's advisable that you leave plenty of extra time when making this commute to ensure you arrive on time. Moreover, if you work in one city and live in the other, you may want to consider moving to the one you work in, traffic hang-ups can be that frustration and frequent. To put this in perspective, a study from the Texas A&M University released shows that the freeways between Dallas and Ft. Worth are the 5th most clogged freeways in the entire US. The average driver living in Dallas will spend about 45 hours sitting in traffic compared to the US average of 33 hours that most drivers spend sitting in traffic. MOVING TO DALLAS - WHERE SHOULD I LIVE? Zillow.com shows exactly how rapidly the median home value in Dallas is rising thanks to its thriving and flourishing housing market. The average Dallas home is worth $162,000. 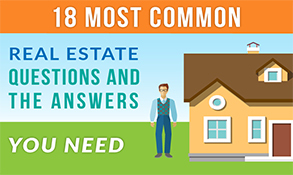 Rent is also among the highest the nation rating 18th among the largest 50 cities in the US with the average one-bedroom residence running $1,241 per month and a two-bedroom residence running $1,725 per month. While these rental rates are staggering due to all the folks moving to the Dallas area, they are nothing compared to some cities such as Los Angeles or New York cities where prices of $2,000 - $2,500 or even more are common. 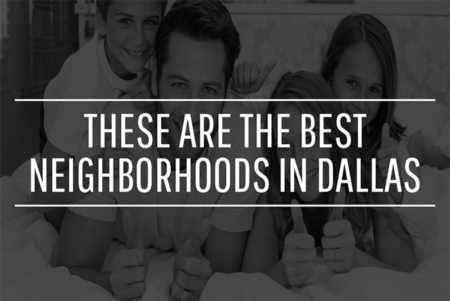 There is a plethora of awesome neighborhoods to live in throughout the Dallas area. 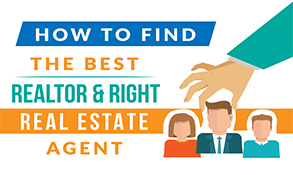 Dallas is an area very much teeming with young professionals from all different professions that are eager to move into an area they identify with and establish themselves in the area. This means that no matter what lifestyle you live, you will find someplace you identify within the Dallas area. From trendy, uptown areas to more relaxed and laid back or suburban-type communities, there is something for every preference and lifestyle. Preston Hollow: Preston Hollow is a neighborhood in northern Dallas that is popular with the upper-middle-class crowd. Many people from doctors to entrepreneurs as well as lawyers, industrialists, and successful business people enjoy calling this area home. There are quite a few local government entities in Preston Hollow and as well. Uptown: Uptown is a hip, trendy neighborhood that provides everything from an eclectic bar life to sports bars, posh global bistros, and hip cocktail lounges. Everything you could want in the fashion world of Dallas has located here in Uptown as well as shops to studios to stores and back. There are also plenty of great hiking and biking trails for exercising and getting out and enjoying a weekend or a day off. Deep Ellum: Deep Ellum is the entertainment district of the Dallas metropolitan area known across the US for its quirky street art, eclectic murals, and other artwork. There are tons of pubs, bistros, bars, clubs, and restaurants that locals love to frequent. If you love live music and everything loud and entertaining then the Deep Ellum neighborhood is for you. Lakewood: The laidback Lakewood community provides scenery like the beautiful White Rock Lake which is surrounded by hiking/biking trails, boathouses, botanical gardens, and everything outdoorsy and nature-centered. If you love a laid-back, quiet, calm lifestyle with a great majority of the time spent outdoors then the Lakewood neighborhood is for you. Trinity Groves: Trinity Groves is the eatery district in Dallas with pretty much every type of restaurant you could imagine being offered at some point throughout the city. Contemporary art galleries are also scattered throughout the area making it home to many up-and-coming artists as they showcase their work for everyone to see. ...And a Ton of Great Architecture! Dallas offers several different, yet popular, styles of living for those moving to Dallas and wanting something special in a new home. Contemporary & Modern - Most contemporary and modern homes will be found in the following areas of Dallas - Kessler Park, North Oak Cliff, Highland Park, University Park, North Dallas, Northwest Dallas, and East Dallas. 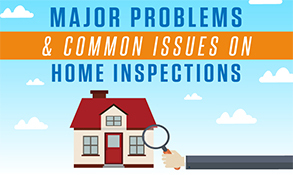 The reason that contemporary homes are mainly found in the areas mentioned above is that the HOA restrictions have long passed for these areas. 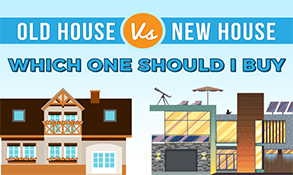 This allows buyers to build the types of homes they want (Modern) without having to worry about certain HOA requirements and restrictions. Craftsman Style Homes - Unlike the modern/contemporary homes mentioned above, the Craftsman style homes in Dallas are a classic look. A large majority of this architecture was built back in the early 1900s and the Craftsman style may be found in North Oak Cliff, East Dallas, M Streets, Lakewood, and Kessler Park areas. 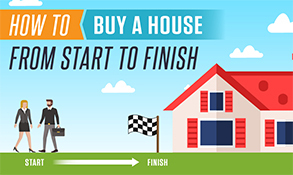 Please note that the era of construction of the Craftsman home in Dallas may mean some updating and restoration work on the part of a new buyer. Tudor Style Homes - Tudor style homes in Dallas are some of the most popular style of architecture that the area has to offer to buyers. The truer the style of the home to the Tudor architecture, the more one can expect to pay for the house. As with the Tudor, buyers may have to sink some money into the house to restore the architecture back to its original glory. 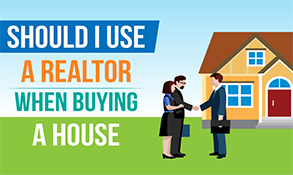 Buyers also need to note and consider that these homes were originally constructed around the early 1900s along with the Craftsman homes, so updating to today's appliances, flooring, fixtures, electrical, etc may also be in the cards for a buyer of a Tudor home. 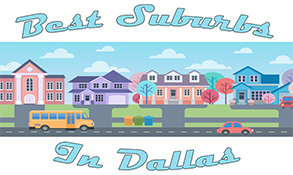 Dallas Tudor style real estate may be found in the same areas as the Craftsman homes - North Oak Cliff, East Dallas, M Streets, Lakewood, and Kessler Park. Mediterranean Style Homes - The Mediterranean style homes in Dallas can be found in the more expensive areas of the city. 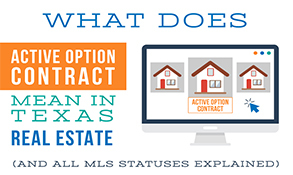 Dallas Mediterranean real estate is often built as either a custom home or near custom home. The reasoning is because the truest of Mediterranean homes use the truest of materials within their construction. What types of materials are used in a Mediterranean build? Stone - marble and quartz, wood, ornate banisters, very pretty fireplaces, and curved stairways, stucco exteriors with smooth finishes in neutral colors, high vaulted ceilings with natural wood or stone beams, large open kitchens with an abundance of the natural stone on both the counters and the flooring. 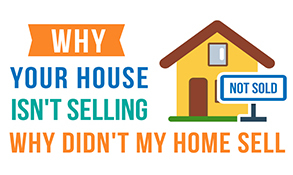 Mediterranean homes are not cheap to build and, therefore, not cheap to purchase either. While buyers may find Mediterranean styled homes in some of the higher-priced suburbs like Plano, Southlake, Westlake, and others, most of the truest Mediterranean styled properties will be found in Highland Park, University Park, North Dallas, and Northwest Dallas. Loft Style Condos - Lofts in Dallas are going to be found in areas not discussed above. The loft style condos will be found in downtown Dallas and some of the lofts are in some of the oldest buildings in downtown, which really makes for a true loft lifestyle. The lofts in Dallas may be found at 1505 Elm Street Lofts, 2220 Canton Lofts, Soco Urban Lofts, Buzz Lofts, Lofts on Oak Lawn, 3030 Bryan Lofts, 1999 McKinney Lofts, and West Village Urban Lofts. Soco Urban Lofts is one of the oldest buildings where loft-style living is available and probably offers the truest style of loft living for buyers wanting this type of home. High-Rise Condos - Dallas High Rise condos are almost exclusively available south of 635 and most are located in the downtown Dallas area. High-rise living has something to fit almost any budget of a buyer. But, the lifestyle also offers luxury buyers great views of the city along with 24-hour services and amenities. The more expensive high rise living can be found at the following buildings - Bleu Ciel, One Arts Plaza, ParkSide Condos, Stoneleigh Residences, Ritz-Carlton Residences, W Residences, and 2505 Limited Edition. As you can see, there are neighborhoods & architecture to fit almost every lifestyle preference. Even if you are not a young professional there is a place for families, wealthy and established businessmen, and even seniors to enjoy. 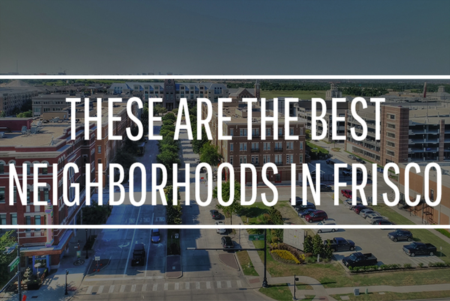 No matter what you seek in your local area in your life the great news is that when living in Dallas you will be sure to find a neighborhood that you are happy to call home with plenty of things you love to do surrounding you every single day. Just like any large population anywhere, people in Dallas not only have to eat but rather enjoy it and they know what some great cuisine is when they taste it. Dallas is home to many great restaurants and nationally recognized dining establishments. Locals love to frequent these great restaurants and tourists and visitors love to give them a try when they come to town as well. When you live in Dallas, you won't be lacking in choices for excellent food. Al Biernat's is an upscale steakhouse that is known at a national level for its delicious steak and seafood. They offer something for everyone with a menu including lamb, beef, steaks, fish, shrimp, lobster, and scallops to name a few offerings. Their extensive wine list ensures there is something to please every palette. They also always have their host present to meet their diner's every need. DJs and a vibrant bar scene finish off what Al Biernat's has to offer. The Five Sixty by Wolfgang Puck is a nationally-renowned celebrity eatery that serves up signature pizzas, sandwiches, and other light fare designed by Wolfgang Puck himself. The restaurant is located at the top of Reunion Tower, which provides for a breathtaking view of the beautiful Dallas skyline and a great place to have an upscale meal by one of the most nationally celebrated chefs of our time. Abacus is an innovative, global eatery providing cuisine choices that originate from various places around the globe. Everything is artfully presented in a luxe fashion. Upscale dishes like venison, lobster, duck, lamb, buffalo, and scallops to name a few of their top-end dishes. The posh dining environment and open kitchen complete the diner experience. The Meddlesome Moth is a classic American gastropub known for its extensive selections of brews and beer with over 140+ different drinks on tap. Enjoy classic fares like French fries, hamburgers, BBQ, steak, and jumbos. There is a common theme on the menu of "everything being great with beer" as they are known for their extensive list of beer. It may be a unique name for a restaurant, but The Grape Restaurant is a long time bistro that has called Dallas home for decades. The Grape Restaurant is a fairly small space yet they are able to take care of every single customer that comes through their door. They know how to make this space work for them. They specialize in New American cuisine from biscuits and gravy to hush puppies, burgers, fried shrimp, soups, sandwiches, pizzas, and more. There is something for taste and occasion. These are just some of the great restaurants Dallas has to offer. These are some local favorites that everyone enjoys and offers a variety of foods to meet every sort of palette. Dallas Residents Live to Shop! Besides the food scene, another reason you will fall in love with living in Dallas -- the world-class shopping available. The Dallas area has multiple malls around the Metroplex, each with world-class shopping opportunities. First developed by Raymond Nasher in the 1960s, Northpark Center is one of Dallas' top shopping destinations for both residents and visitors. Northpark Center is located at 8687 North Central Expressway. Northpark has 225 total number of stores with seven anchor tenants like Dillard's, Macy's Neiman Marcus and Nordstrom. Other high fashion stores at Northpark include but are not limited to Carolina Herrera, BVLGARI, Burberry, Cartier, David Yurman, Gucci, Louis Vuitton, Montblanc, Omega, Rolex, Salvatore Ferragamo, Tag Huer, Tiffany & Co., and Versace. Opened in 1931, Highland Park Village was designed to be a shopping area and to serve as a town square for the city of Highland Park. University Park, Turtle Creek, and Oak Lawn also have very close proximity to Highland Park Village. The shopping center was designated as a National Historic Landmark in 2000. The Shops at Highland Park Village include such luxury stores as Alexander McQueen, Chanel, Christian Louboutin, Dior Beauty, Hermes, Jimmy Choo, Ralph Lauren, and Saint Laurent. The Galleria touts itself as "you're in for a shopping experience unlike any other in Dallas, including a unique collection of retailers, department stores & dining." Originally constructed in 1982, the Galleria is home to over 200 stores and the Westin Galleria Hotel. Along with those 200 stores for shopping, this mall is also home to an ice skating rink which operates all year (even when in the Texas summers!). Major tenants include Macy's, Nordstrom, Banana Republic, Gap, Old Navy, and Belk. Living in Dallas means that you'll have a ton of entertainment options. We address the favorites below like the State Fair of Texas, Six Flags Over Texas, The Mesquite Rodeo and the professional sports teams like the Dallas Cowboys, Mavericks, Stars, Rangers, and FC Dallas. Located in Fair Park near downtown Dallas, the State Fair of Texas is open from the last Friday in September and lasts for 24 days. The fair has been an annual event since 1886 and has only missed a few years due to the World Wars. The fair features food of all kinds, Midway games, rides, exhibits, the Texas Star which is a Ferris wheel standing 264 feet tall with 44 gondolas and can carry up to 264 riders at a time. The view from the top of the Texas Star is one of the biggest factors appealing to the riders. While this is Texas and you can still test your shooting abilities on the Midway, the guns today are water guns instead of the old-fashioned six-shooters. One of the big attractions to the annual State Fair of Texas is the Red River Rivalry which features Texas vs Oklahoma on the gridiron of the Cotton Bowl Stadium in Fair Park. The game is played each year on the second Saturday in October. The Saturday prior to the Texas vs. OU game is known as the State Fair Classic which pits two historically black universities in Grambling State and Prairie View A&M. These two universities have participated in the State Fair Classic each year, except one, since 1985. The State Fair of Texas is also well-known for having an excellent auto exhibit which features the new models for almost all domestic and foreign manufacturers. Chevy usually sponsors what is called the "Chevy Main Stage" where they sponsor daily and nightly concerts with some of the biggest names in music often taking the state for free concerts with your fair admission. Many visitors to the State Fair of Texas are there simply for the food and go to literally "eat their way through the fair." Fletcher's Corny Dogs is one of the biggest food vendors at the fair along with stands selling cold Root Beer, cold Beer, giant Turkey legs and even a building dedicated to only food. Save your appetite if you're visiting the fair...if you leave hungry, that's your fault! The Mesquite Rodeo is held in the Dallas suburb of Mesquite, Texas on a yearly basis running from approximately April to September in what is known as the "Rodeo Season." Originally started in around 1946 by a local named Charlie Columbus "C.C." McNally, the original rodeo was held on a property owned by C.C. It has since moved to the newer arena (built in 1985) and at one time was owned by local investor Tom Hicks who also owned the Texas Rangers and Dallas Stars for a period of time. 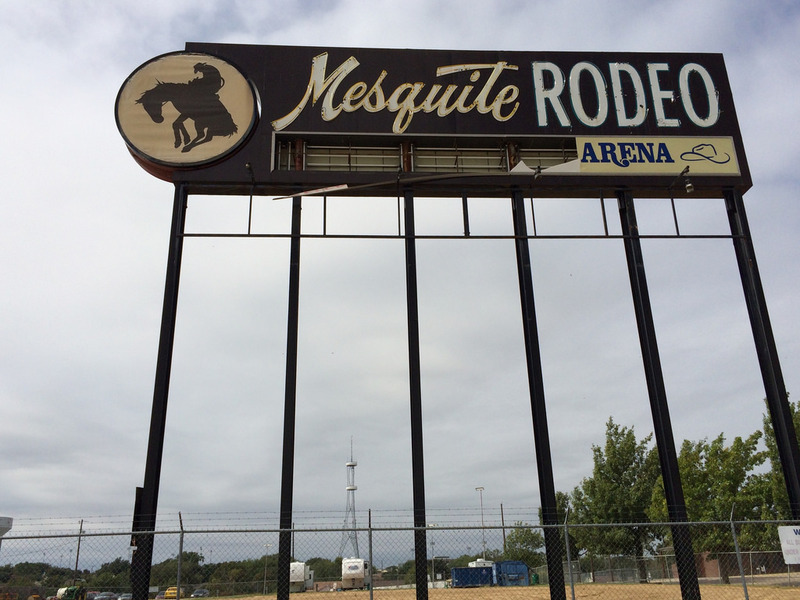 The rodeo has taken the name of the Mesquite ProRodeo and is now owned by Camelot Sports & Entertainment. The rodeo is the top televised rodeo event with it being shown in over 8,000,000 homes around the country. Camelot has added to the Mesquite ProRodeo experience by refurbishing the arena, adding new suites and a new club restaurant called the "8 Second Club" which is available to members throughout the entire year. If you are moving to Dallas and want the true western flavor, this is a do not miss event! Known as "America's Team", Arlington Texas is the site of AT&T Dallas Cowboy's Stadium and Frisco is the site of the new training facility for the 'Boys. The Cowboys play eight regular season games in Arlington with one of them being their annual Thanksgiving Day game. If you're a fan of the Cowboys, you'll be right at home living in Dallas. And If you don't like the Cowboys, you may want to keep that to yourself if you move here. Saying you don't like "America's Team" in DFW may just be fightin' words! Owned now by Mark Cuban, the Dallas Mavericks turned a corner once Mark bought the team over a decade ago. The Mavericks play their 41 home games per season at the American Airlines Center in Dallas' Oak Lawn area of Uptown. Residents wanting to live near the American Airlines Center can find high-rise condos at the nearby W Residences and The House. Both of those condo buildings are near Victory Park which is the main street leading to the American Airlines Center. Just like the Mavericks, the Dallas Stars share the American Airlines Center as their home ice. The Stars play half of their regular season games at the American Airlines Center in Uptown. Two World Series Trips in last few years has energized the baseball fans of the Dallas Metroplex. The Rangers play their home games in Arlington at Globe Life Park right next to Cowboys Stadium and Six Flags over Texas. The Rangers play 81 home games per season and it gives fans a great opportunity to see their favorite visiting clubs like the Yankees, Red Sox, White Sox, Angels, Astros and more. The SMU Mustangs compete in the American Athletic Conference and have recently had a nice little run with both their football and basketball squads. SMU is Dallas' college, so be sure and support the red, white and blue ponies when you move to Dallas. Several other large employers exist in the area including AT&T, JCPenney, Lockheed Martin, JP Morgan Chase, and Texas Instruments also employ 1,000s of workers throughout the Dallas area as well. 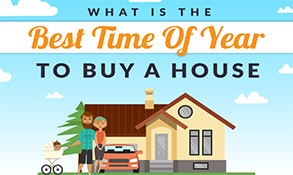 The average Dallas resident makes $59,926 per year which is around the national average of about $59,039 per year. However, Dallas also is also in the top 10 cities with the highest percentage of their population making more than $100,000 per year. According to NerdWallet.com, Dallas will be adding at least $53 billion in personal income to their population between 2014 and 2019 as the population continues to rapidly increase. Texas also added 33,200 jobs to their totals in just May of the past year which is only behind the states of New York and California as the most jobs any state was able to add in that single calendar month. Most of these jobs were in the hospitality, retail, healthcare, and government sectors of work. Dallas typically has a comfortable living environment that leans towards the warmer side, where temperatures range from 57 96 degrees Fahrenheit throughout the year. Snow is rare in the Dallas area, however, the area does see just a little bit more than 40 inches of precipitation each year. Many people use warm summers and mild winters to enjoy outdoor activities. 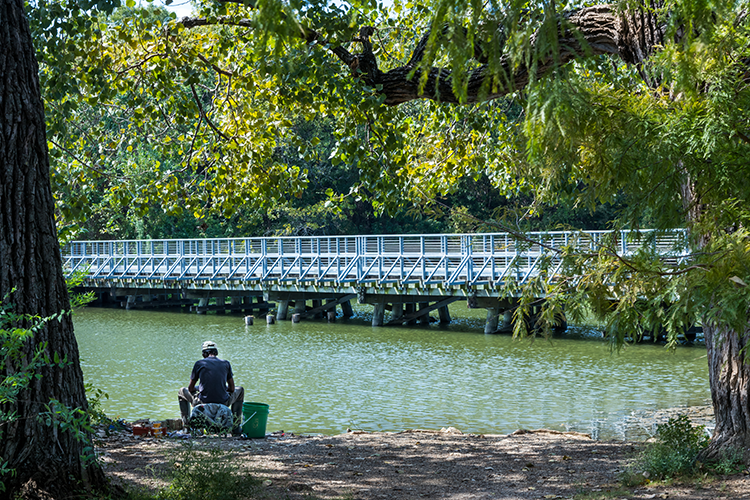 Dallas residents also enjoy 234 sunny days per year and only 54 with measurable precipitation, which provides lots of time to do the activities that everyone loves to do outdoors. Dallas is home to a plethora of universities and colleges where locals can obtain a degree to help further their incomes and careers. At least 30% of all adults ages 25 and up living in the Dallas area have at least a Bachelor's degree or higher in their educational portfolios. Dallas is continually becoming more educated. Colleges are ahead of their projected growth curve for strategic planning purposes. The University of Texas at Dallas reports their enrollment in all sectors is up more than they have projected, and many other schools are sharing similar reports. This includes new students, transfer students, and "nontraditional" adult students who are going back to complete a degree or get an education for the first time. One of those schools is the 5th-to-largest universities in the US in the Texas A&M University whose College Station campus alone is home to 48,346 students at any given time. The University of Texas at Dallas also services another 26,797 students. These universities offer majors and specialties in virtually any field someone could possibly be interested in. For those who are overwhelmed by those sheer numbers, there are smaller schools such as the University of Dallas which has 2,843 students. Locals love to visit these festivals and celebrate any and everything from Mardi Gras to BBQ food or music and films. Holiday-related events are also a big draw in the Dallas area. Historical events and state recognition events are also big draws as Texans are historically known for being proud of who they are and where they come from and take every opportunity to celebrate it with events in the State Fair of Texas. If you're going to live and play in Dallas, you need to be up-to-speed on fun facts even most Dallasites don't know. About 24.9 million people visit Dallas each year with about 48.9 million visiting the Metro area. Neiman Marcus was started in Dallas by Herbert Marcus, Sr., his sister Carrie Marcus Neiman and her husband, A.L. Neiman. Neiman Marcus is still headquartered in Downtown Dallas and their corporate headquarters' building is a Recorded Texas Historic Landmark. Dallas has more than 30,000 hotel rooms located throughout the city and more than 78.000 throughout the entire area. Dallas only receives snow about 1.3 days per year, making it quite a warm climate in which to live. Dallas is home to 5 professional sports teams including the Dallas Cowboys (NFL), Dallas Stars (NHL), Dallas Mavericks (NBA), Dallas Wings (WNBA), FC Dallas (MLS), and Texas Rangers (MLB) and is also home to a couple of the top NASCAR and Indy racing tracks in the US. The integrated computer chip was invented in Dallas in 1958. The Dallas-Ft. Worth metropolitan area consists of 12 counties that make up the metropolitan area. All points within the city limits of Dallas are between 450 and 750 in elevation. The first 7-11 was opened in Dallas where the company is headquartered today. 23 of the top 100 richest Americans live in Dallas. The Dallas Art District is the largest urban art district in the entire continental US. The Statue of Liberty can fit inside of the AT&T Stadium which is proudly the largest free-built coliseum in the world. Dallas is proudly the biggest US metropolis that is not located near any body of water. Dallas was actually ruled by Mexico during part of the 1800s. The American Football League's Lamar Hunt was a Dallas resident when he coined the term "Super Bowl". John F. Kennedy made his last public speech in Ft. Worth, which was part of the metropolitan area in which he was later assassinated in. The annual Fort Worth Stock Show & Rodeo is the oldest event of its kind in the entire nation and dates back to 1896. 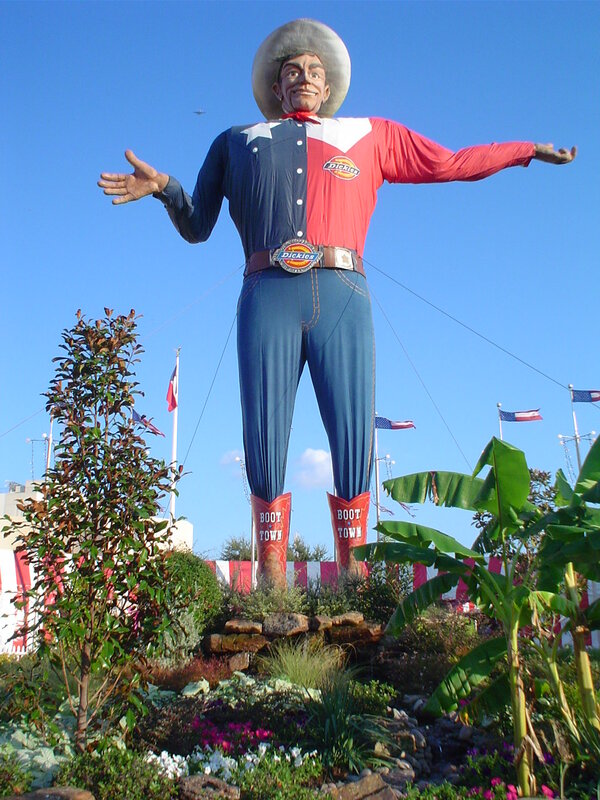 There is a 52 foot "Big Tex" statue that greets visitors each year at the Texas State Fair is officially the tallest cowboy in the state of Texas. The largest permanent train model in the entire US is located in Dallas. Dallas was recently rated as the number one friendliest city for business in America. Dallas was recently named as one of the friendliest cities for Gay & Lesbian residents.